Albert is a little bunny made from this pattern. He was my first project from the teeny tiny mochimochi book by anna hrachovec. I’m in love with this book so I was so happy to finally make something from it! 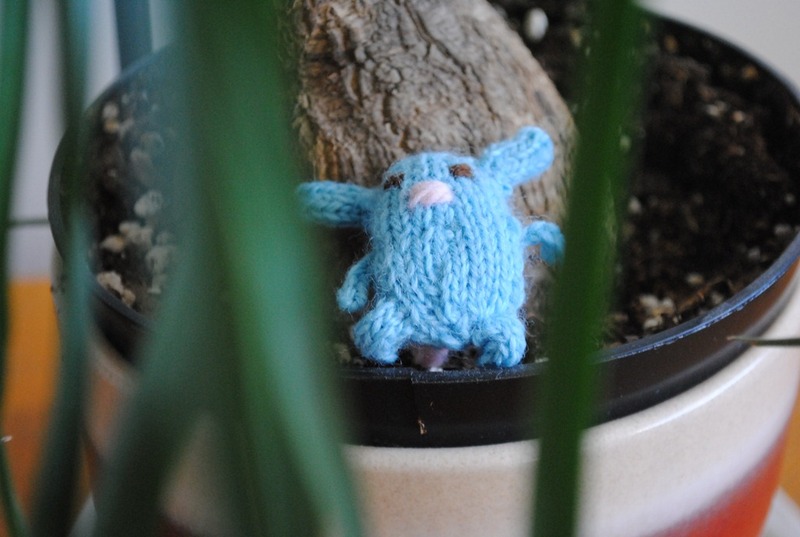 My knitpicks order showed up yesterday and this little bunny was created. With the colors I have for my gnome mittens I could make MANY of the patterns in this book, and I will!